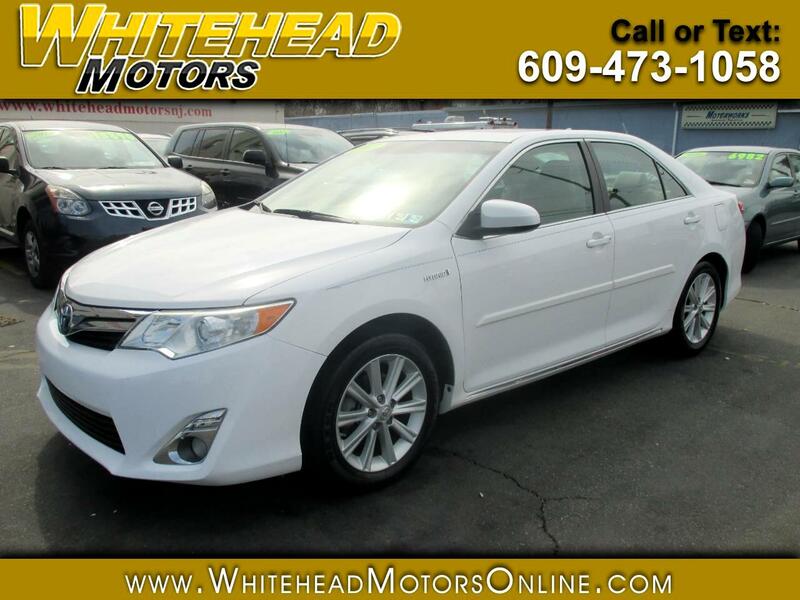 Our remarkably efficient One Owner 2012 Toyota Camry Hybrid XLE shown in dazzling Super White is a great choice! The 2.5 Liter 4 Cylinder paired with a 105kw electric motor produces 156hp and is tethered to CVT. This Front Wheel Drive combination gives you near 43mpg on the open road. With the fine-tuned suspension, this car is fun to drive, even when driven in econ or EV mode to maximize efficiency. The refined aerodynamic exterior features a dynamic wedge shape, distinctive taillights, fog lamps, a large sunroof, rear spoiler, and 17-inch alloy wheels. The XLE interior is very roomy with increased visibility and elbow room, while the handsome dash is modern and well equipped with push-button start, dual-zone automatic climate control, a central touchscreen, Bluetooth and a premium JBL sound system with iPod input and USB jacks. You'll love the feel of the power-adjustable heated leather-trimmed front seats as you grip the leather-wrapped steering wheel with mounted controls. Let available Navigation help you with your route, and as you cruise around you will know you've made an environment-friendly choice. Safety features of the rock-solid Toyota include anti-lock brakes, stability control, and airbags, giving you peace of mind knowing you and your family will be kept out of harm's way. This Camry Hybrid is a smart choice. Print this page and call us Now... We Know You Will Enjoy Your Test Drive Towards Ownership! Get Approved In Minutes at Whitehead Motors. We Make Car Buying Easy.